America has been swallowed up by the globalists and will now be run from Beijing. NEW YORK (Reuters) – When borrowing money it’s always good to have a Plan B in case a big creditor pulls the plug. That should be true whether the sum is a few thousand dollars or about a trillion, the size of the United States government’s debt to China. This is very interesting if it is a cover up. I typed in the same coordinates 5h 53m 27s,-6 10′ 58 on Google Sky and the area was mysteriously blacked out! 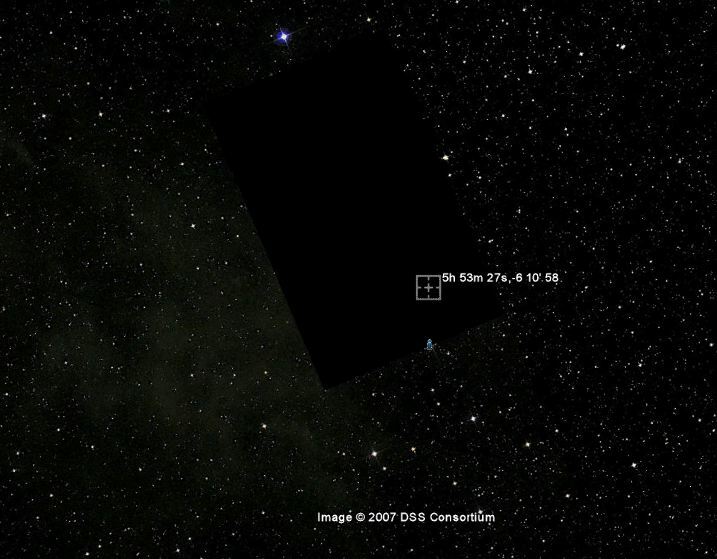 Why I don’t know but I do know this is the only “cropped” area in Google Sky. The first sighting of the object was detected by N.A.S.A in 1983 by IRAS spacecraft. The reason that it is not being seen anywhere except in the far south is because it’s path is bringing it towards Earth almost directly beneath the South Pole, a “blind spot” for astronomers. Another interesting fact to note is the proximity of the cropped area to Orion’s belt that is referred as the “Dark Rift” by the Ancient Mayans. Below are ancient tablets from the Sumerians in what was depicted as the Sun, its planets, the Earth’s moon, and Nibiru. Remember this created was millenia ago. If you add 2+2 it will give you 4. Following the unexplained deaths of several thousand birds over the last two weeks, events are now emerging that may offer a physics-based explanation for the mysterious deaths. It all begins on a runway in Tampa, where airport officials recently closed that runway in order to change the numeric designators painted there. Why are those numeric designators being changed? Because the Earth’s magnetic poles are shifting and the numbers previously painted on the runway no longer match up with the magnetic measurements of sensitive airplane instruments (http://www.physorg.com/news/2011-01…). The primary runway at the airport is designated 18R/36L, which means the runway is aligned along 180 degrees from north (that is, due south) when approached from the north and 360 degrees from north when approached from the south. Now the Federal Aviation Administration (FAA) has requested the designation be changed to 19R/1L to account for the movement of the magnetic north pole. The Earth’s magnetic field is extremely important for protecting the planet from so-called “solar wind” and other electromagnetic influences from space. The magnetosphere, which is driven by the Earth’s magnetic field, serves as a kind of electromagnetic barrier to prevent dangerous rays from reaching the surface of the planet. Physics Fact #2: The Earth’s magnetic field has flipped hundreds of times in the past. The Earth’s magnetic field “flips” (or reverses polarity) every few thousand years. This is called a geomagnetic reversal (http://en.wikipedia.org/wiki/Geomag…). In between these flips, the magnetic field can become quite weak and chaotic, causing “turbulence” in the field, which can effectively cause weaker gaps in the magnetosphere. These magnetic gaps or weaknesses can allow outside influences that normally would not penetrate the magnetosphere to reach deep into that magnetosphere, theoretically all the way down to where birds fly at very low altitude. Last week, a report from the Russia’s Ministry for Extraordinary Situations (MCHS) (http://en.wikipedia.org/wiki/Minist…) warned that the weakening Earth magnetosphere was allowing “poisonous space clouds” to enter deep into Earth’s atmosphere where it is coming into contact with birds. These “space clouds” are called Noctilucent clouds (http://en.wikipedia.org/wiki/Noctil…), which exist at very high altitudes (roughly 50 miles) and accumulate space dust from micrometeors and other sources. What’s really interesting here is that these noctilucent clouds exhibit very high radar reflectivity (http://media.caltech.edu/press_rele…). This means these clouds create a very large radar signature on weather tracking systems. It may soon be that compasses are no longer accurate, the North Star could be the South star, and Santa just may be lost. Don’t blame anyone just yet— the “North Pole” is merely changing. The change is so critical, workers at two Florida airports are making changes to the Tampa International Airport and Peter O. Knight Airport. Robert Burr of TIA said one runway, number 36, pointed North at 360 degrees. But now, that same runway points 10 degrees north. TIA decided to repaint the numbers on the runway to match the pilot compass readings. Runway number 36 is now number 1. Chris Connor, Ph.D., a Volcanologist with the University of South Florida, said that there’s a magnetic pole which is produced by changes and or flow of iron in the core of the earth. Connor said the constantly moving molten iron creates a magnet on a planetary scale with a magnetic North and South Pole. He also said that the magnetic fields have been moving— what used to be in northern Canada is now in northern Siberia. The last shift was more than 700,000 years ago, and some experts are saying it’s time for the change. Every million years or so Earth’s magnetic pole does a flip, and new poles arise in random places. After the poles are settled, South may be the new North and vice versa. 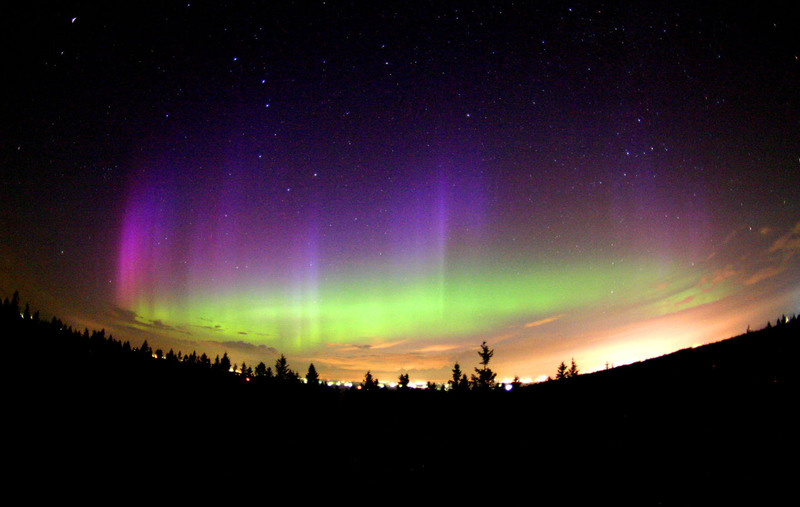 Meaning that maybe the Aurora Borealis could be seen in Florida. (NaturalNews) Thousands of cattle recently turned up dead in various Vietnamese provinces, reportedly due to the long cold spell that has hit the area in recent weeks. Officials from the Veterinary Department of the Ministry of Agriculture and Rural Development (MARD) had allegedly been working with local cities and provinces to help keep animals fed and warm once reports emerged of them dying, but such efforts largely failed as thousands more continued to die across the country. According to reports, the province of Cao Bang experienced the worst losses with nearly 2,000 cattle deaths, followed by Lang Son with 1,380 and Son Law with 1,300, all supposedly due to cold weather. However, no specific scientific testing results were revealed proving that the deaths were truly caused by the cold weather, including simple pieces of evidence like thermostat readings or autopsy reports. In many other parts of the world, farmers raising cattle have done so in much worse cold conditions than those allegedly experienced in Vietnam, which raises questions about what is truly causing these deaths. North Dakota, for instance, experiences temperatures as low as -60 degrees Fahrenheit during the winter, but animals somehow survive this type of weather year after year. 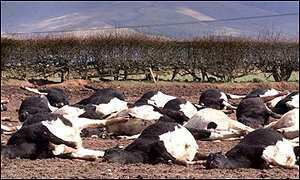 The Vietnamese cattle deaths follow a trail of other mysterious animals deaths that all began occurring right around the start of 2011. Many of those deaths remain unexplained, while others have been attributed to strange causes like winter storms and even drunkenness. Yet few, if any, of these death cases have been conclusively explained with actual scientific evidence. The European Union is facing a new phase of the economic crisis. This depressing forecast was made by a report on the World Economic Situation and Prospects-2011 presented by the United Nations Conference on Trade and Development. Our commentary is by Yevgeny Kryshkin. Despite the fact that the EU has taken tough austerity measures and is planning to cut the budget deficit, it is risking another economic recession. This opinion was expressed by the authors of the report. 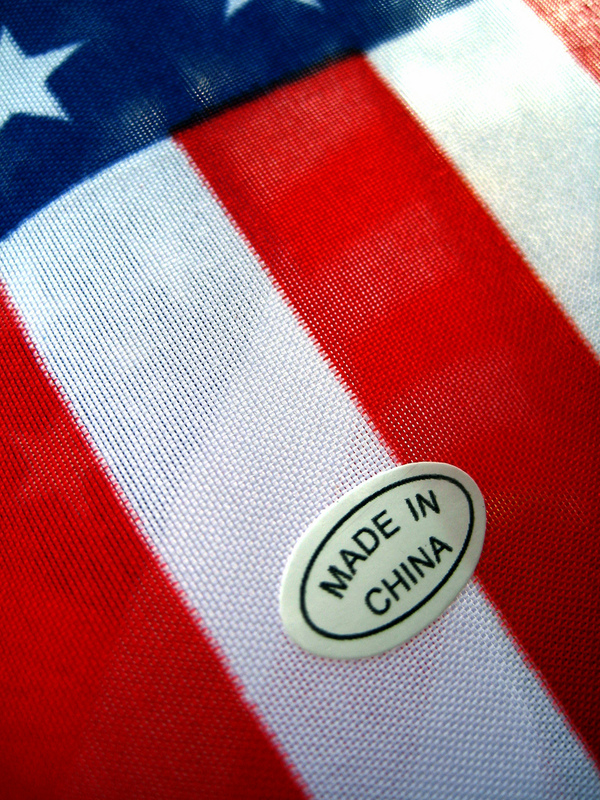 They emphasize that a repeated recession in the EU countries and stagnation in the U.S. and Japan may trigger another wave of a global economic crisis. This pessimistic assessment is based on the state of affairs in the economies of Greece, Ireland, Portugal and Spain, the four countries that were most affected. Greece and Ireland managed to avert a collapse of their financial systems. However, this required incredible joint efforts by all EU member states. Ireland alone received 85 billion euro and with serious risks. Stabilization loans from the International Monetary Fund and the EU are being used to cover budget deficits and support banks. Nevertheless, neither Ireland nor Greece has solved the problems that they faced last year. Here is an opinion from an expert at the Institute of Europe, Vladislav Belov. “The situation is developing according to the prior scenario. Greece, Spain, Portugal and Ireland have taken austerity measures to reduce the budget deficit through cutting government spending, the salaries of public servants and social expenses, and increasing taxes. At the same time, France and Germany are making attempts to consolidate their efforts. However, the problem has not been solved yet. As before, there is a danger of default, as far as the Euro-zone goes,” Vladislav Belov said.